Arclight is a handheld medical device used to examine the eyes and ears of patients of all ages. It is an all-in-one solar-powered ophthalmoscope-loupe-otoscope. The Arclight identifies preventable diseases which can leave a person partially or completely blind. Extensive and thorough eye examinations can be conducted safely, cost-effectively and efficiently. It provides a bright LED light, offering a precise magnification view for inspection of the media, fundus and ear. 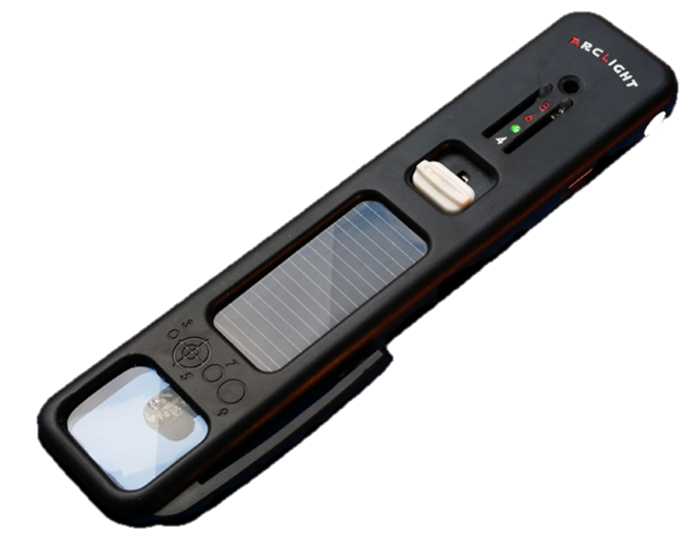 Arclight has an integrated solar panel and can also be charged via USB in low-light conditions.